3. 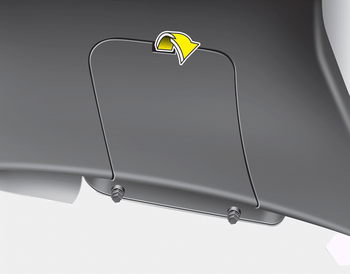 Remove the service cover using a flatblade screwdriver. 4. Loosen the retaining nuts. 5. Disconnect the power connector. 6. 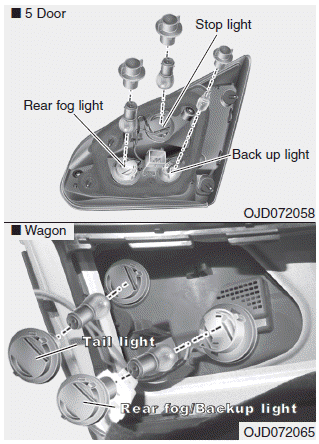 Remove the rear combination light assembly from the body of the vehicle. 7. Remove the socket from the assembly by turning the socket counterclockwise until the tabs on the socket align with the slots on the assembly. 8. Remove the bulb from the socket by pressing it in and rotating it counterclockwise until the tabs on the bulb align with the slots in the socket. Pull the bulb out of the socket. 9. Insert a new bulb by inserting it into the socket and rotating it until it locks into place. 10. 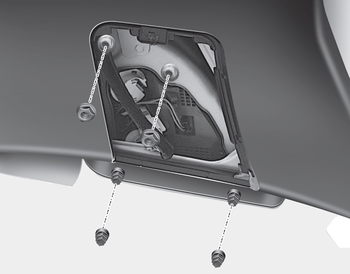 Install the socket in the assembly by aligning the tabs on the socket with the slots in the assembly. Push the socket into the assembly and turn the socket clockwise. 11. Install the service cover by putting it into the service hole. 8. Pull the bulb out of the socket. 9. Insert a new bulb into the socket. 10. Install the socket into the assembly by aligning the tabs on the socket with the slots on the assembly and turning the socket clockwise.